It's finally December and whilst I'm a few weeks away from decorating this year's cakes I thought it was about time I shared the cake I made for Mum back in 2015. 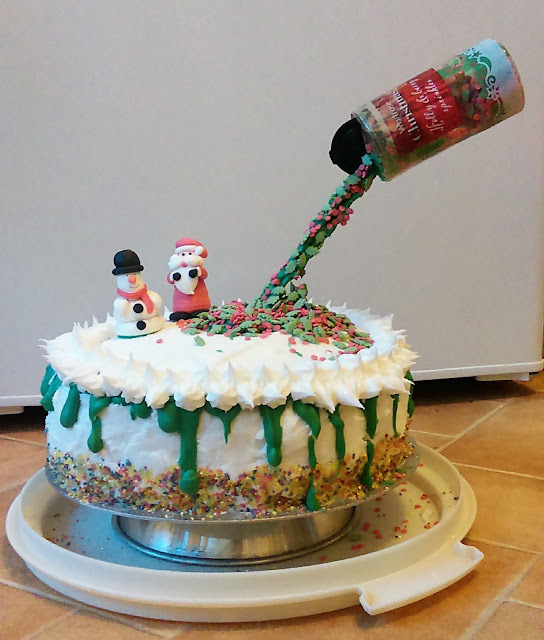 I haven't done another anti-gravity cake since but it wasn't difficult to do. I obviously bought the snowman and the Father Christmas figure and I used Wilton Candy Melts for the dripping. I didn't get on very well with them actually and I really didn't like the taste of them so I'd probably try something different next time.